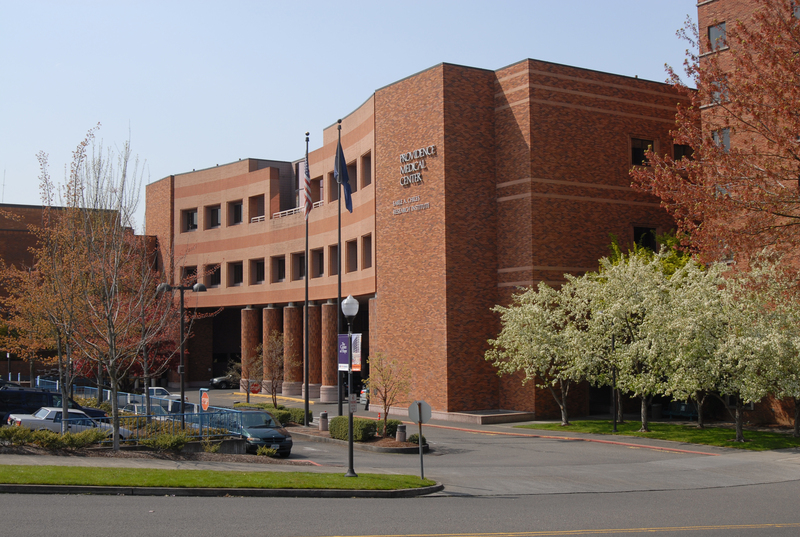 Providence Health & Services in Oregon is a not-for-profit network of hospitals, that continues a tradition of caring the Sisters of Providence began nearly 160 years ago. 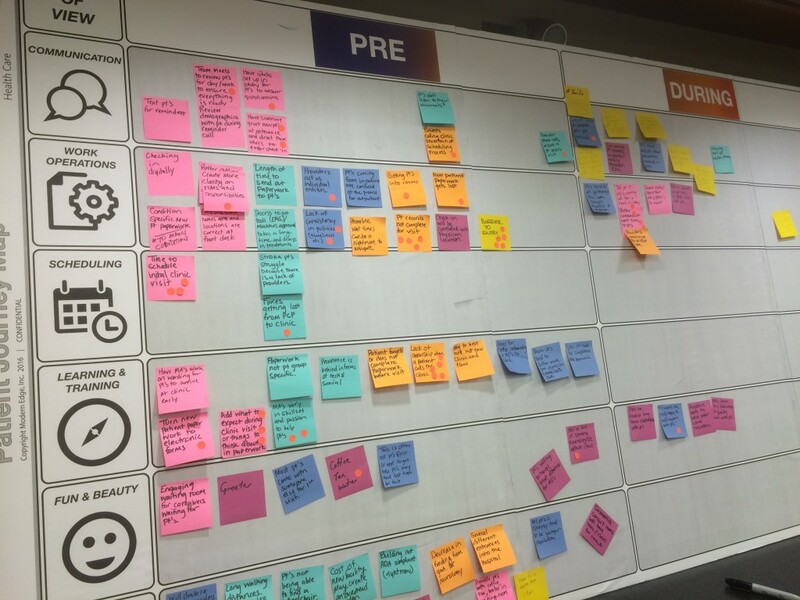 Providence Neurology West set out to conduct a user experience evaluation during their clinic development and build-out. They brought in Modern Edge as part of a 10 month experience design effort. 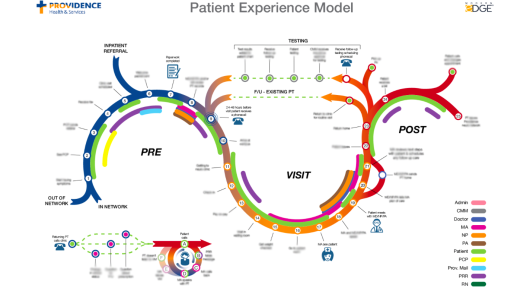 Members from across the organization were deeply involved in the design process, so that a wide variety of perspectives on the patient experience could be heard. Physicians participated alongside, PA, MA, and Administrators all with an equal voice in exploring how to understand their patients and best interpret patient feedback. This included developing patient personas, creating a patient journey map and conducting a SWOT analysis. 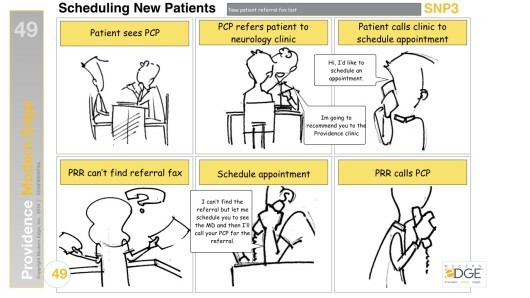 Patient personas are hypothetical archetypes of real patients and are used as an empathy tool; Thinking through changes as if you are a patient will help to minimize potential problems before they occur. The Patient Experience interviews helped to understand the organizational challenges by how the clinic was developed. The patient’s experience often contains significant variations which are sometimes unintentionally reinforced by the clinic. A Strengths Weakness Opportunities Threats (SWOT) analysis was conducted. This analysis was divided into different parts of the patient experience categories: communication, work operations, scheduling, learning and training, fun and beauty, and other. The findings helped identify where the clusters are in need of attention to help focus efforts. 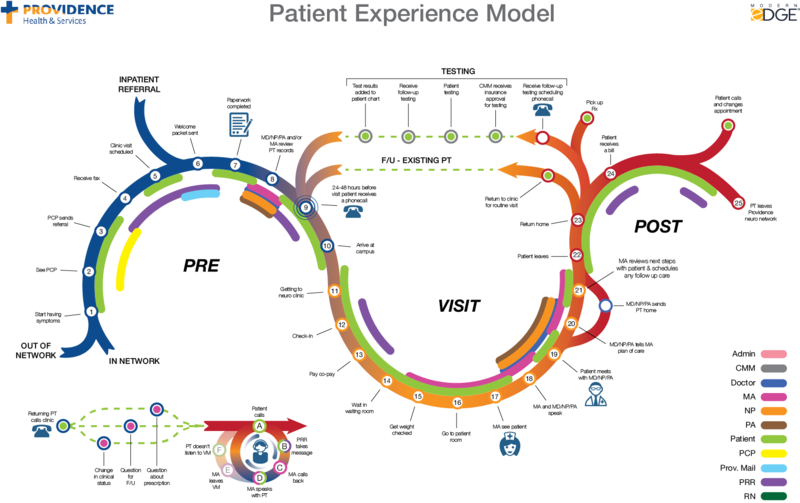 The team developed experience maps and workflow scenarios to understand the context of the pain points, latent needs, and opportunities for vastly improving the patient experience. Ultimately the team identified 14 areas for redesign and reinvention. Waiting room experience, Way-finding and Checkin process were just three of the service areas slated for redesign. As the stunning new facility became a reality, Providence moved forward with confidence that the patient experience would match the beauty of the facility, and the quality of the services. A commitment to excellence is in Providence’s DNA. Constantly evolving and improving the patient experience as part of an ongoing effort is just one way that Providence’s honors their relationship with the community.